Your voice is pretty important. It allows for easy communication with other people, the joyful act of singing in the shower, and it’s a piece of you that is used on daily basis. But is there a way to keep it healthy and performing at its fullest? There is. In fact, we have 10 tips for how to keep your voice healthy, clear, and strong. We’ll cover everything, from what to drink to have a good voice to how to protect your voice. Whether you’re a singer, orator, or you just want your voice to be strong for your daily life, these tips should help keep your voice strong and proud. The following tips can keep your voice in check as a whole, but they may also be just as effective individually. While this tip is most useful for singers and stage actors, it can also apply to you if you are planning a long day of speaking such as with work meetings or presentations. Warming up can help stretch out the vocal cords so they aren’t strained when in use. But you shouldn’t over-do it, as that can also cause damage and lead to vocal fatigue. Yelling and shouting can put a strain on your vocal chords, causing them to become swollen. Keep yourself hydrated by drinking plenty of water. Your vocal cords need lubrication in order to work properly, and water can help the body keep that lubrication flowing. The best form of hydration is water. Alcohol and caffeinated drinks are two liquids that can dehydrate you and, in turn, dry out your vocal cords, affecting your voice. If you can’t eliminate alcohol and caffeine but you want your voice to be stronger, limit their consumption. Beyond the many serious health issues smoking can cause, it can also damage your voice. Smoking can irritate and inflame the vocal cords. In the long term, smoking can also cause vocal cord nodes, tumors, and cancer that can not only damage vocal cords but can also end up silencing them permanently. Vocal cords, like any active part of your body, needs rest from time to time. If you talk for most of the day, make sure you take out some time to give your vocal cords a rest. Try and find breaks in between long periods of speaking to allow your cords to reset for a moment. Easier said than done, but try to avoid clearing your throat—especially when you are suffering from a cold. Clearing your throat can put a strain on the vocal cords. This may be impossible for many people, but for those who only experience acid reflux occasionally, try avoiding the causes of it. Eating right before bed, for example, can cause acid reflux to occur as you sleep. That acid can do some damage to your voice. Another good tip for the singers, measured breathing can also help you out for the big speech at a loved one’s wedding. Make sure that your vocal cords have enough air for your speaking. If you start running out of breath while speaking, that lack of breath can help strain vocal cords if you are still trying to get those last few words out. You may find that certain foods can irritate your voice or cause excess mucus production. For some, it might be spicy foods; for others, it may be dairy products. But if it’s irritating your voice and vocal cords, try to avoid it. Your voice is important. It’s used in so many aspects of your life that you may not actually appreciate it until it’s gone. Hopefully, these tips on how to keep your voice healthy will help you protect it for everyday and professional use for many years to come. “10 Tips for a Healthy Voice,” Live Science, April 17, 2006, http://www.livescience.com/4078-10-tips-healthy-voice.html, last accessed April 6, 2017. “Advice for Care of the Voice,” Texas Voice Center,” http://www.texasvoicecenter.com/advice.html, last accessed April 6, 2017. 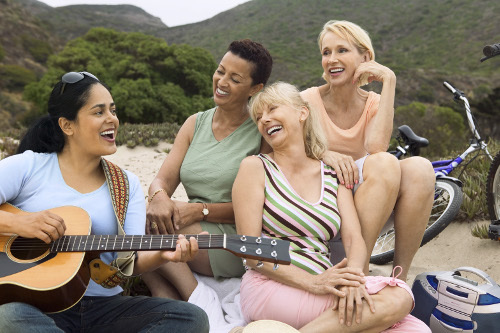 “10 Tips for Keeping Your Voice Strong and Healthy,” Inspired to Sing, http://inspiredtosing.com/blog/10-tips-for-keeping-your-voice-strong-and-healthy, last accessed April 6, 2017. “Keeping Your Voice Healthy,” American Academy of Otolaryngology, http://www.entnet.org/content/keeping-your-voice-healthy, last accessed April 6, 2017.